Rev. 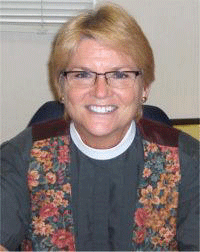 Jeannie became Trinity’s Rector in September 2007. 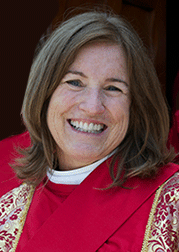 Prior to her arrival in California she was Associate Rector and Priest in Charge at St. Mark’s Episcopal Church and School in Palm Beach Gardens, Florida, and Associate Rector at St. Martin’s Episcopal Church in Chagrin Falls, Ohio. Rev. Jeannie received her Master of Divinity degree from the Berkeley Divinity School at Yale in 1990 and was ordained to the priesthood in 1991. Associate Rector Annie Calhoun joined Trinity’s staff for a Ministry Study Year in January 2009. Bringing extensive experience in working with youth and at-risk children, she was hired as Director of Youth Ministries later that year. Rev. Annie received her Master of Divinity degree from Claremont School of Theology in 2014 and was ordained to the priesthood in 2015. 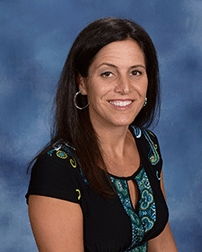 Amy has served as Trinity’s Parish Administrator since 2005 and has extensive experience in operations and business administration. Amy has been a member of Trinity for over 20 years. 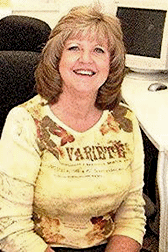 She has been married for forty years, has 3 children and 4 grandchildren. Heather, her husband, and their son came to Trinity in 2007. After teaching Sunday School for 5 years, she was invited to join the church staff in Christian Education. She loves working with and getting to know the youth at Trinity. 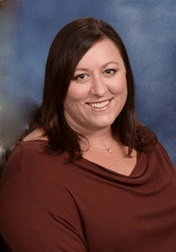 Heather is also involved in the Travel Industry and is always happy to talk about traveling the world. Suzanne and her husband, Denis, have been members of Trinity since the mid 1990s. They have three children who are actively involved in Trinity as well. Prior to Suzanne becoming co-director of Christian Education in 2007 she has served as an Usher, Sunday School Teacher and one term on Vestry. David Ripley has been the Music Director at Trinity Episcopal Church for almost 17 years and is responsible for developing and providing leadership to the music program and choir. 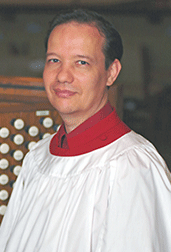 David began his career in 1992 as an Organ Fellow for St. Michael and All Angels Episcopal Church. As a regular substitute organist for many Orange County Episcopal churches, David’s talents were highly sought. In 2000 he accepted the position of Music Director and has come to call Trinity his home and place of worship.